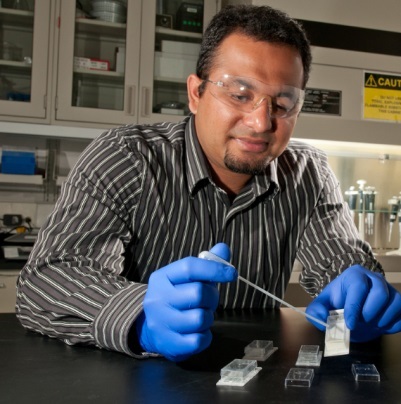 Aeraj ul Haque was a postdoctoral researcher in the Energy Sciences Division and took part in the University of Chicago’s New Venture Challenge. Today Aeraj is working as a patent technical specialist with Cooley, LLP a large law firm headquartered in Palo Alto, Calif. Cooley provides consulting and legal services to Apple, Facebook, Zynga and many startup companies. Aeraj works in the Patent Group located in Cooley’s downtown Boston, Mass. office. As a patent technical specialist, Aeraj serves as the scientific and engineering resource that decodes complex multi -faceted technologies to help the firm understand the patentable features. His work requires him to perform patent research, analysis, drafting and fact-finding to determine if a new technology is truly patentable. Most of the clients he works with are in the mechanical, electrochemical and biomedical fields. “The most challenging aspect of my job is to be able to grasp a wide range of technologies in a short span of time,” says Aeraj. His days find him working with clients in a diverse set of fields from battery technology, to biomedical diagnostics to recycling, all in one day. He also is learning the law portion of patent prosecution and is eager to begin law school in the coming years. Once he decided he wanted to pursue a career in patent law he began to research different firms. He realized he needed to network and started his job search early. Aeraj recommends allowing about nine to 12 months for a job search. “I started making a list of law firms that employed patent technical specialists in their patent groups,” says Aeraj. He then began cold calling firms and reaching out to friends and family to expand his network. “It was through a family member that I was introduced to a partner at Cooley,” says Aeraj. He spoke on the phone several times with the partner and went to Boston for two days of on-site interviews. The entire process took him about seven to eight months of searching from start to finish. Aeraj advises his fellow former postdocs to start early in their career search and to network. He recommends conferences as a way to meet prospective employers. He also encourages postdocs to make cold calls to prospective employers. “Think of yourself as a salesman who is selling to a customer. Have your two minute elevator pitch always ready,” advises Aeraj. He suggests reaching out to fellow research collaborators, team leaders and friends. Aeraj enjoyed his time at Argonne and has fond memories of working with Dan Schabacker (ES). The two stay in touch during board meetings of SiteDiagnostics. “I truly miss my colleagues and friends at Argonne and wish everyone the best of luck,” says Aeraj. 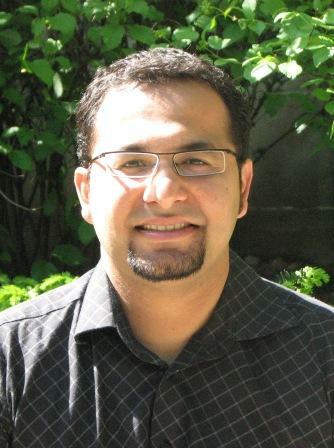 This entry was posted in Alumni News and tagged Aeraj ul Haque, Alumni News, mentor, network. Bookmark the permalink.